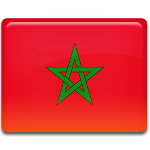 Green March Day is a public holiday in Morocco, that annually falls on November 6. This holiday commemorates the events, that took place in the city of Tarfaya in southern Morocco on November 6, 1975. The rights over the territory of Western Sahara were disputed between Morocco and Mauritania for a long time. Morocco claimed that this territory was historically its part, while Mauritania insisted that the territory was in fact Mauritanian. The International Court of Justice couldn't name the country, that really possessed the rights over Western Sahara, that is why Hassan II King of Morocco decided that he had a right to claim this territory to be his. Hassan II called on people to gather in the city of Tarfaya. On November 6, 1975 about 350,000 unarmed Moroccans gathered in the city, carrying green banners (the symbol of Islam), portraits of Hassan II and the Qur'an. The demonstrators crossed the border of Western Sahara, calling “Return of the Moroccan Sahara”. As a result, November 6, 1975 became the day, when Morocco occupied the territory of Western Sahara, and this anniversary is a public holiday.